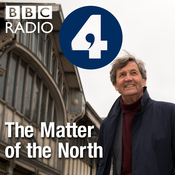 In this final programme Melvyn Bragg celebrates the power of northern voices in our sporting life, and asks what being and sounding Northern means more generally - in a year which has seen what might be a traumatic and decisive shift in our politics, and in our sense of national identity. In the wake of the EU Referendum, new questions are being raised about the need for devolution in the north of England - the need for the north to have a stronger presence in our public life and politics. Contributors David Hockney Maxine Peake Professor Robert Colls, De Montfort University Geoffrey Boycott Dame Judi Dench Ian McMillan Jimmy McGovern Lee Hall Ed Cox, Director IPPR North Lee Rigg and the Wardle Academy Youth Brass Band Producer: Faith Lawrence. Melvyn Bragg explores the great cultural movements that came from the North of England which rippled out to affect the world - music with the Beatles, social commentary with Coronation Street and the rise of some of Britain's greatest comedians. Melvyn Bragg examines the contribution of the north to British culture throughout the 20th century - and celebrates the way in which it refreshed and transformed the arts of this country. Also included are some of the earliest voices of northerners ever recorded - part of the Berliner Lautarchiv collection recorded by Wilhelm Doegen - held at Humboldt Universitat. The British Library also offers access to these recordings via its website. Contributors Maxine Peake Dame Joan Bakewell Lee Hall Sir Michael Parkinson Professor Dave Russell Jimmy McGovern Dame Judi Dench David Hockney Producer: Faith Lawrence. Melvyn explores the radical movements that sprang from the North - Chartism, the campaign for women's votes, anti-slavery protests, the birth of the Labour Party. The programme begins outside Manchester's Midland Hotel where Mr Rolls met Mr Royce. It's also near the site of the Peterloo Massacre - one of the defining moments in British social history. People had gathered here in their thousands from the city and surrounding towns and villages - protesting for parliamentary reform. fifteen were slain and hundreds wounded by charging cavalry troops. Melvyn visits what one contributor Dr Robert Poole describes as Democracy Wall - it runs alongside of the nearby Quaker Meeting House - many people were crushed against it at the time of the Massacre. The wall is the only structure left from the period. The massacre inspired the poet Shelley to write the Masque of Anarchy, part of which is read for us by the actor Maxine Peake. Melvyn goes on to describe the rich history of dissent nurtured in the north - the women's suffrage movement, the campaign to abolish slavery, chartism, and the founding of the Independent Labour Party. Why the north? Was it Methodism, the size of the population, the isolated landscapes, the topography of the cities or even the weather? Contributors Dr Robert Poole, University of Central Lancashire Dr Katrina Navickas, University of Hertfordshire Professor Robert Colls, De Montfort University Dr Jill Liddington, University of Leeds Judith Cummins MP Rommi Smith Jonathan Schofield Producer: Faith Lawrence. Melvyn Bragg celebrates the achievements of Manchester, the original northern powerhouse. 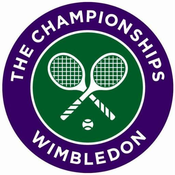 Its emblem is the bee, a symbol of work, cooperation and industry. It was from here that huge scientific, social and commercial changes would sweep the globe. Melvyn visits Quarry Bank Mill in Styal outside Manchester which is one of the best preserved textile mills in the country. Melvyn visits the house of the novelist Elizabeth Gaskell, who chronicled the rapidly changing lives of the people who lived in or near Manchester, or Cottonopolis as it was known. Melvyn hears how a culture of dissent or non-conformity fed into the city's spirit of invention. He discusses the great scientists that came out of the city - James Joule the father of thermodynamics and John Dalton the father of atomic theory. Melvyn also hears about one of the country's biggest and now largely forgotten art exhibitions which was held in Manchester - The Art Treasures exhibition of 1857. Contributors Canon Apiarist Adrian Rhodes, Manchester Cathedral Professor Hannah Barker, University of Manchester Dr James Sumner, University of Manchester Jenny Uglow Dr Katy Layton-Jones, University of Leicester Maria Balshaw, The Whitworth Art Gallery Producer: Faith Lawrence. Episode Six features George Stephenson, one of the many northern inventors who helped launch the Industrial Revolution. Melvyn Bragg believes the Industrial Revolution is the greatest Revolution the world has ever seen - and its heart lies in the North of England. In this programme he pays tribute to the men who nurtured that great revolution. The inventors and engineers - often from very humble beginnings - whose discoveries would shape the world to this day. One of the greatest was the north east's George Stephenson, whose Rocket locomotive heralded the age of the railways. The programme starts with the writer Frank Cottrell Boyce - who ( in collaboration with Danny Boyle ) put the Industrial Revolution centre stage at the 2012 Olympic opening ceremony. Melvyn met him at Rainhill near Liverpool where Rocket took part in a famous trial. Of course, Stephenson wasn't the only great inventor of the period - the great machines of the cotton industry can also be claimed by the north - the genius of Samuel Crompton and his Spinning Mule is celebrated. The façade of Sheffield Town Hall is emblazoned with scenes of industry, but why wonders Melvyn are the achievements of these great men not celebrated more? Why aren't they as much a part of our national mythology as Tudor Monarchs? Contributors Frank Cottrell Boyce Professor Hannah Barker, University of Manchester Professor Robert Colls, De Montfort University Matthew Watson, Bolton Museum Professor Richard Horrocks, University of Bolton Producer: Faith Lawrence.